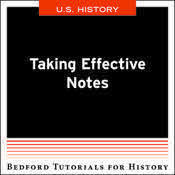 Learn How to Read and Think Like a Historian - U.S.
Planning for a Short Writing Assignment - U.S. Using Historical Evidence Effectively - U.S. 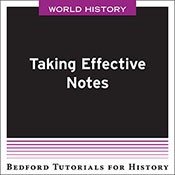 Working with Primary Sources - U.S.
CM BHT Taking Effective Notes - U.S.